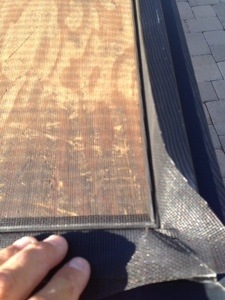 Malibu | Screen Door and Window Screen Repair and Replacement Simi Valley, Thousand Oaks and Surrounding Areas. 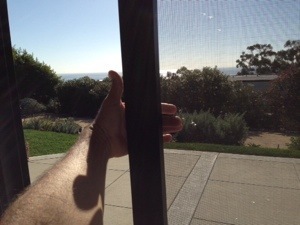 Screen door repair malibu beach area on the top of paradise cove restaurant area. 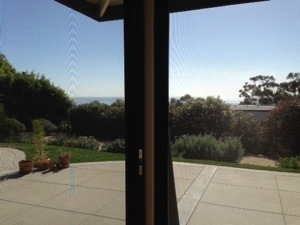 White sliding screen doors repaired with new white aluminum frames and new clear mesh for ocean views. 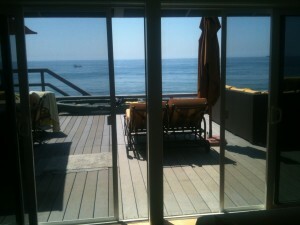 The sliding screen door frames we use are powder coated for protection against the harsh element Malibu is known for. 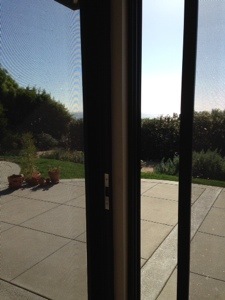 If you are having problems with your sliding screen doors in Malibu’s and would like to get them check out , please give us a call for free onsite estimate today at 805 304-6778. 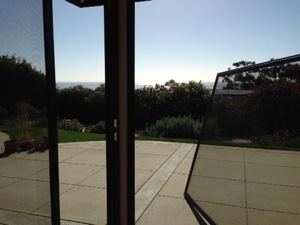 Another specialty we offer is rescreening and repair or replacement of extra large and custom size sliding screen doors Malibu work. 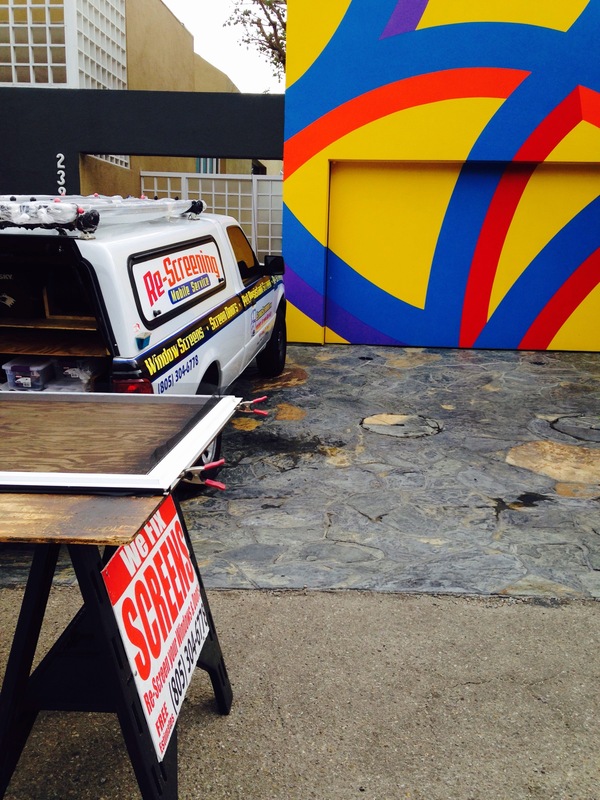 We are one of the oldest mobile screen services in LA and Ventura county, family owned and operated. 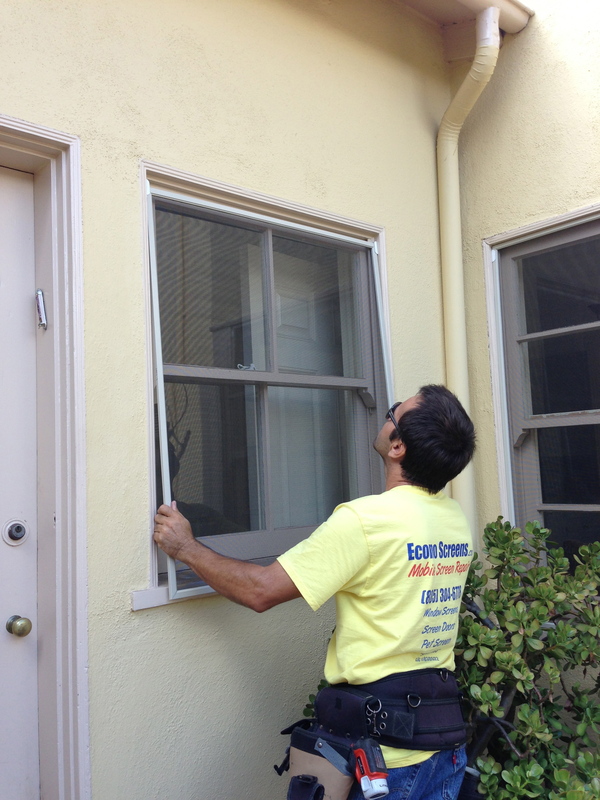 We are professional at what we do anyhow we do it with a license to prove it as well. 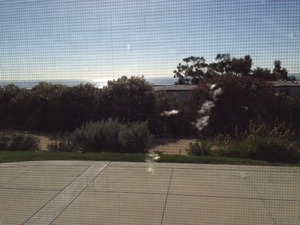 Tan window screens installed in Malibu California today in a beautiful home. 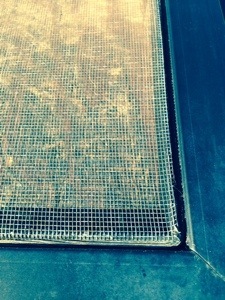 The house was older but very well taken care of and the window screens were non-existant. 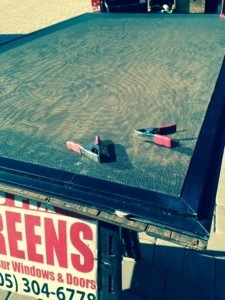 It seems that they were missing from this home for a while. We specialize in this type of custom work. 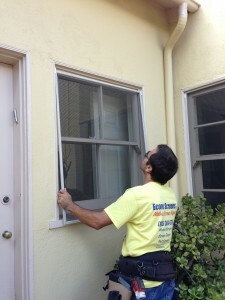 We are professional, reliable and fully mobile for any window screen replacement job in Malibu or any of the near by cities.